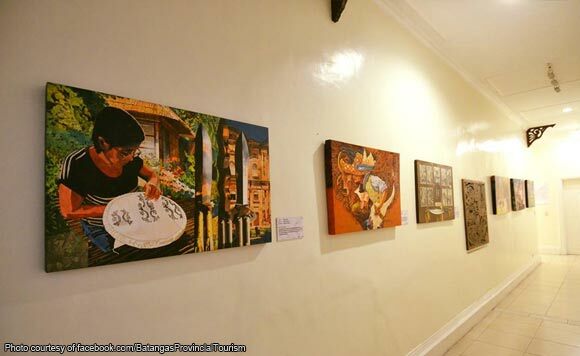 The Museo ng Batangas has opened its doors to the public again, after years of being dormant. The museum, located at the provincial capitol in Batangas City, features various exhibits showcasing Batangas’ rich history and culture. Its “Bayan at Ani” section features artwork from the province’s towns. Meanwhile, the “Diwang Batangueño” section features artifacts about famous personalities who hailed from the province, such as Apolinario Mabini, Miguel Malvar, spouses Felipe and Marcela Agoncillo and former President Jose P. Laurel. The Bulwagan ng Gobernador features images of Batangas’ governors starting 1901 until incumbent Governor Dodo Mandanas. The Museo ng Batangas is open from Tuesday to Friday, from 8:30 a.m. to 4:30 p.m.